THEY ARE YOUR FRIENDS, YOUR PARTNERS, YOUR DEFENDERS, YOUR DOGS. 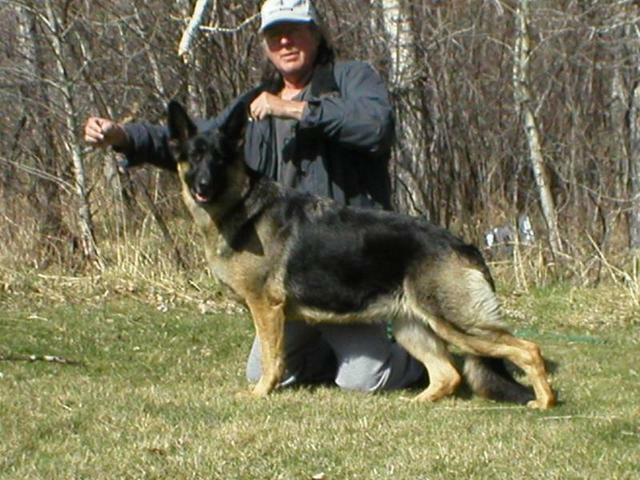 The German Shepherd dog excels as a working dog, companion and protector and competes at the highest level in all conformation and performance events. 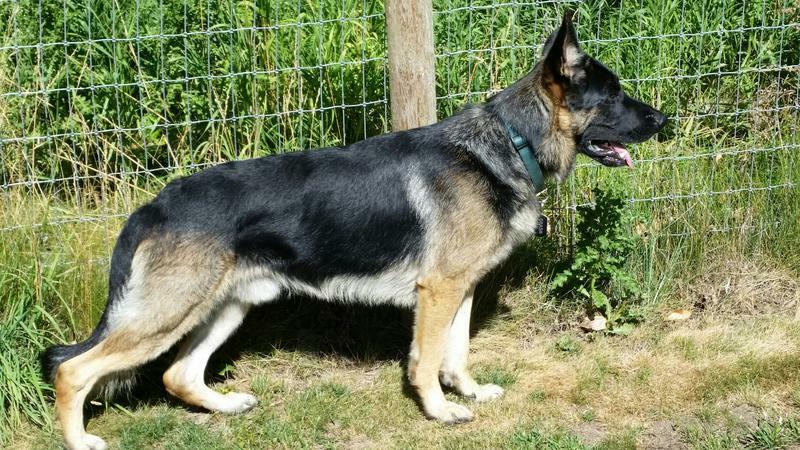 German Shepherds are highly active dogs, and described in breed standards as self-assured. The breed is marked by a willingness to learn and an eagerness to have a purpose. Shepherds have a loyal nature and bond well with people they know. However, they can become over-protective of their family and territory, especially if not socialized correctly. They are not inclined to become immediate friends with strangers. 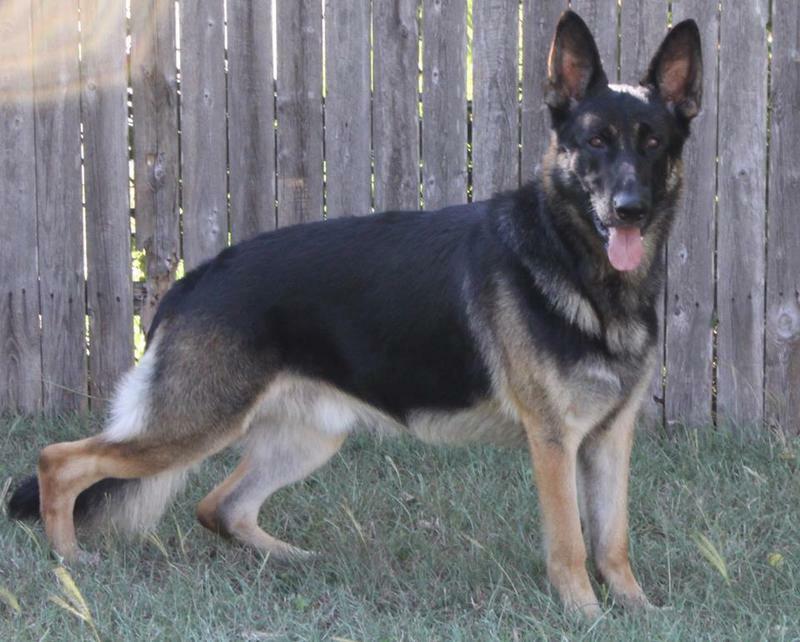 German Shepherds are highly intelligent and obedient. Some people believe they require a "firm hand", but more recent research into training methods has shown they respond better to positive, reward based training methods. 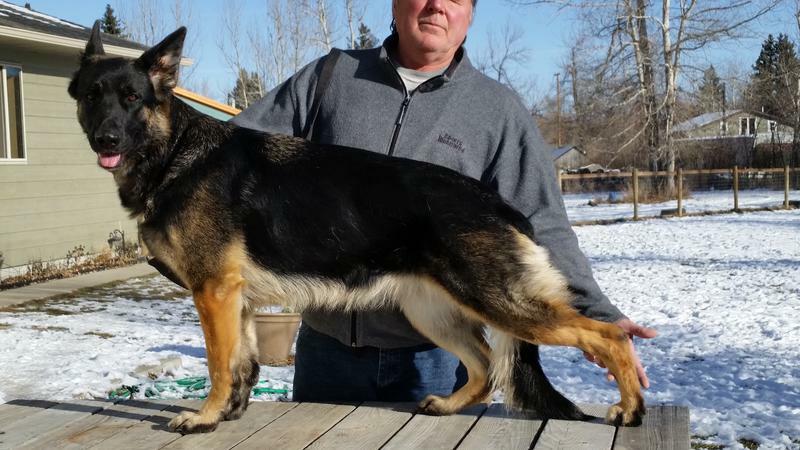 Breeders of Show Quality German Shepherds, | Dogs for Family Protection & Personal Security, | Schutzhund| Search & Rescue, | German Shepherd Guard Dogs, | Police dogs. YOU ARE THEIR LIFE, THEIR LOVE, THEIR LEADER. THEY WILL BE YOURS, FAITHFUL AND TRUE, TO THE LAST BEAT OF THEIR HEARTS.